MSI unveals its AMD Ryzen AM4 motherboard lineup divided into three segments – the Enthusiast Gaming, Performance Gaming and Arsenal Gaming. 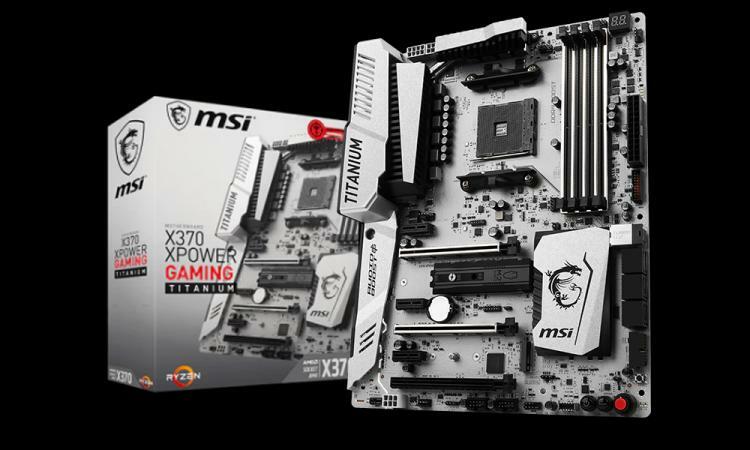 MSI aims to provide the perfect gaming motherboard for every type of gamer out there. Let’s check them out below! The MSI X370 XPOWER GAMING TITANIUM is built on MSI’s award-winning TITANIUM concept, using only the best components to satisfy the most demanding enthusiasts and overclockers with its beefed up with solid silver heatsinks built for record-breaking extreme overclocking. The MSI X370 XPOWER GAMING TITANIUM is the first of its kind based on an AMD platform. For gamers, this motherboard offers performance-oriented gaming features like: Audio Boost 4, GAMING LAN, Turbo U.2/M.2, M.2 Shield and VR Boost. 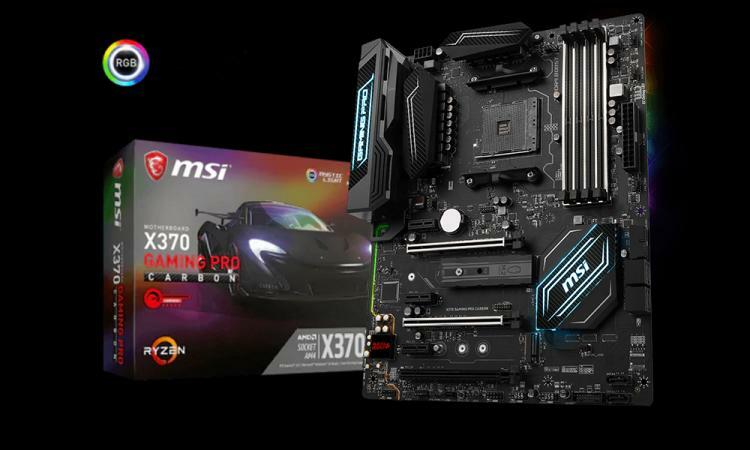 The MSI X370 GAMING PRO CARBON motherboard offers unlimited options to customize gaming rigs using RGB Mystic Light which can synch with other compatible RGB LED products. Supported products include popular brands cases, keyboards and other peripheral devices with RGB, which pass the Mystic Light Sync certification. Inheriting its CARBON design from the critically acclaimed CARBON motherboards means the new X370 GAMING PRO CARBON motherboard is also packed with high-end gaming features. This board packs Audio Boost 4 and GAMING LAN are ready to give you the best audio and network performance when gaming. VR Boost provides the best VR gameplay experience with lower latency and reduces the chance of motion sickness. 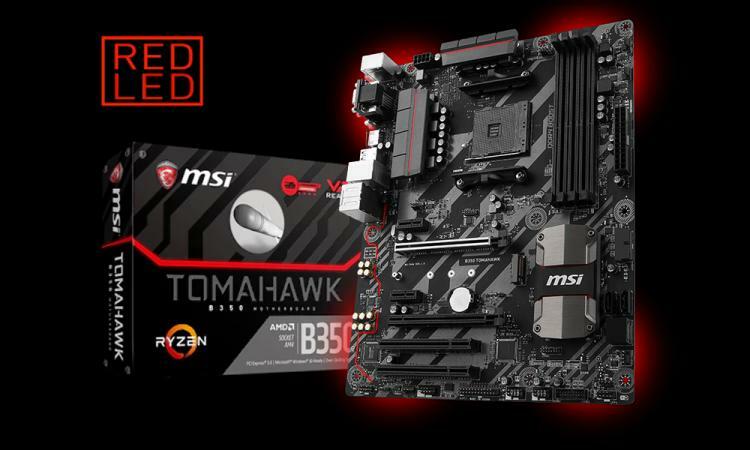 The MSI B350 TOMAHAWK motherboards’ design perfectly illustrates the evolution of this new generation MSI motherboards. Inspired by the concept of main battle tanks, the design, from its heavy plated heatsinks to the military-themed PCB print, displays strength and sophistication. The B350 TOMAHAWK is built to last and makes sure a gaming system performs perfectly for long gaming sessions with top performance. With a long list of specifications and gaming features, such as Turbo M.2, GAMING LAN and Audio Boost, the B350 TOMAHAWK offers a solid gaming platform for you to dominate the battlefield. Visit the MSI AMD AM4 Motherboard Lineup page at the MSI website for more information.